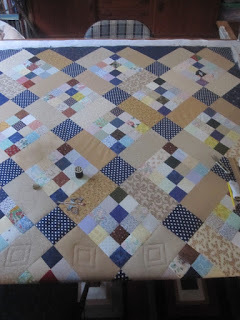 There have been a few more turns taken on the quilt. Slowly but surely, it's getting done. Tune in tomorrow and I'll have some quilt show photos posted. It's the last quilt show of the year. 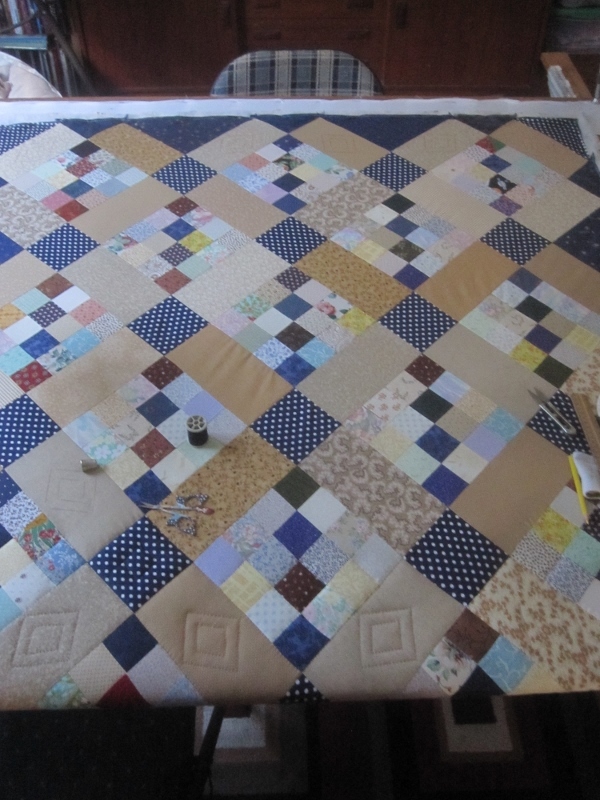 You are making great progress on this quilt! I really like the diamond quilting pattern you chose. Thanks for linking up to Slow Sunday Stitching. Hand quilting is a very slow process, but it's one I find so satisfying, so therapeutic. Your quilting is beautiful. Your quilt is looking lovely. I really like the blue and tan combo. Looking good. I am looking forward to the quilt show photos. I love seeing that people still hand quilt. My mom worries that it will soon be a lost art. Your quilt is beautiful! I love it Dolores and your quilting looks fantastic . This quilt is getting prettier with every stitch. Thanks for sharing it with Oh Scrap!